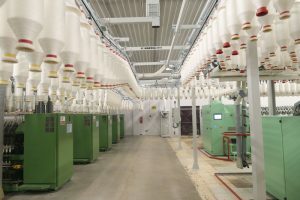 Marzoli, an Italy-based manufacturer of complete lines for cotton and man-made fiber spinning, was among the first companies to introduce automation in transport systems 30 years ago, allowing the reduction of labor costs and the risk of poor handling of roving bobbins. 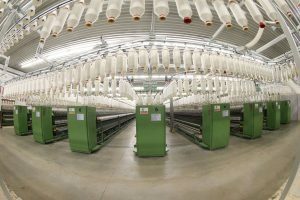 Thanks to the experience gained in this field, at the textile show ITMA Milano in 2015, Marzoli launched its own transport system MTR, which is able to enhance the efficiency of the transportation of roving bobbins to the spinning frames. 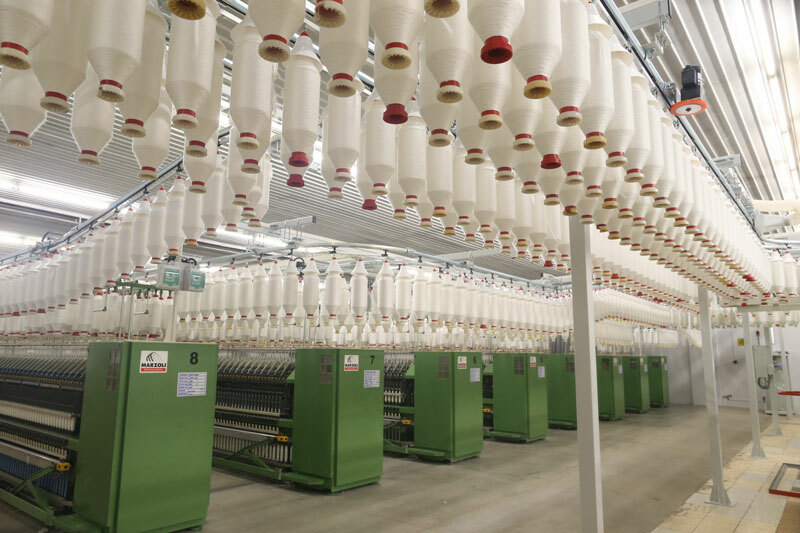 With MTR the bobbins are carried by a closed-circuit overhead chain along the aisles between the spinning frames. The operator changes and pieces them on the spinning frames’ creel. Since 2015, this transport system has experienced success. It has been chosen by several customers worldwide. 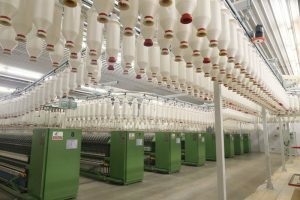 Currently, it is installed in eight different countries — Argentina, Iran, Pakistan, Algeria, Turkey, Egypt, Mexico and Uzbekistan — and it is currently serving more than 240,000 spindles. The MTR has been highly appreciated for its fully-customizable design, its reliability and the advantages of the integration of the bobbin stripper, Marzoli IBC, on the exchanger. Marzoli IBC was conceived to perform cleaning and exchanging of the tube at the same position with the aim of stopping the chain only once for both operations and consequently reduce the number of stops and the overall chain downtime. Higher efficiency also stems from a faster cleaning operation. 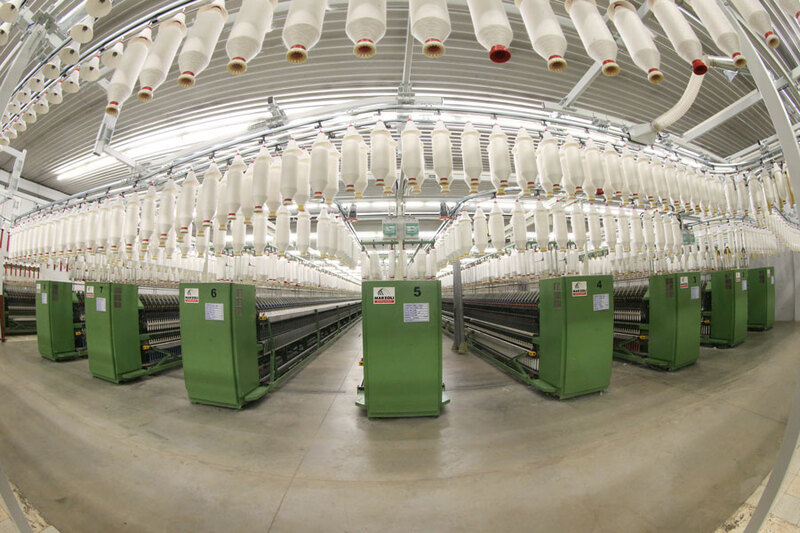 The MTR with IBC represents a reliable and efficient solution for spinning mills with high production and uniform production programs, able to reduce dependence on non-qualified staff and to maximize the efficiency of the whole spinning process. Marzoli also recently launched the MTT, a new development of the block creeling transport system — currently being installed at a customer’s plant — and that builds on all the advantages of the MTR and IBC. 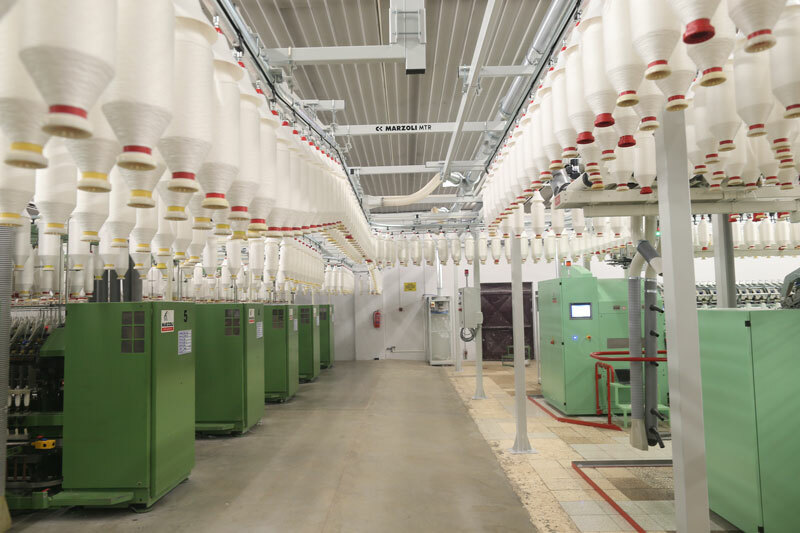 MTT represents the ideal choice for spinning mills with highly flexible production programs.